In the U.S. Air Force, an establishment, comprising an airfield, its installations, facilities, personnel, and activities, for the flight operation, maintenance, and supply of aircraft and air organizations. A similar establishment belonging to any other air force. In a restricted sense, only the physical installation. The line joining two air stations, or the length of this line. The distance, at the scale of the stereoscopic model, between adjacent perspective centers as reconstructed in the plotting instrument. i. An air force station or base. ii. 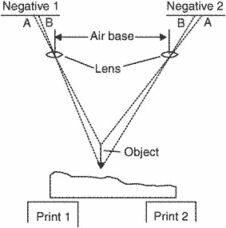 In aerial photography, the line joining two air stations, the length of this line, or the distance between exposure stations of a stereo pair. iii. The distance at the scale of the stereoscopic model between two adjacent perspective centers, as constructed in the plotting instrument. NATO's Secretary General has urged the Turkish and German foreign ministers to resolve their differences over visits to Turkish air bases, part of a wider row between the two allies. html) King Feisal Air Base , in al-Jafr hosts military instruction from a number of countries including the U. Seven Indian military personnel were killed when six terrorists launched the attack on January 2 on the air base that houses Indian Air Force's fighter jets. But on Tuesday New Delhi said the militants could not have carried out the brazen attack on the air base near the border without Pakistan's support. The facility both in Basa Air Base in Pampanga and in Subic, they are not prepared to accommodate the FA 50. The TV report said government forces at the Abu Zuhour air base "have evacuated their positions and moved to another point". Mohammed al-Shamia, a spokesman for the 166 Battalion militia, told AP his forces withdrew from the al-Qardabiya air base on Thursday after receiving no reinforcements. Masirah: Masirah Air Base of the Royal Air Force of Oman (RAFO) yesterday celebrated the Armed Forces and Retirees Day under the auspices of Hilal bin A'mer Al Hajri, member of the State Council. Lieutenant Colonel Ahmed Qaed, security commander of Brigade 90 at Al-And air base, said the operation was carefully masterminded by Al-Qaeda. LAHJ, Yemen (TAP) - The Yemeni Army has foiled a car bomb attack on the Anad air base used by US soldiers in the southern province of Lahj, a military official says. Islamabad, Aug 23 ( ANI ): The Pakistan Government has remained tight-lipped over the probe into the attack on Pakistan Air Force's (PAF) air base in Kamra, after a group of militants attacked the military installation last week. Meanwhile, President Asif Ali Zardari also condemned terrorist attack on Kamra Air Base and returned in this wake after concluding his visit of Saudi Arabia.